According to a new study, people who take antidepressants and painkillers could have an increased the risk of committing murder by up to 200 percent. 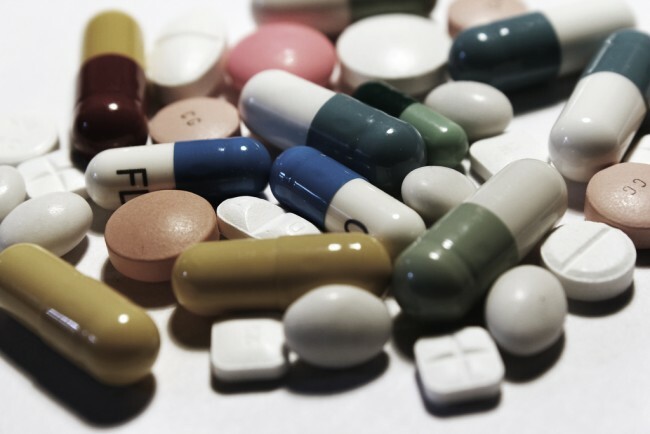 Antidepressants have been thought to be associated with the committing of crimes, such as homicide, suicide, and, in some instances, high-profile shootings. Dr. Jari Tiihone, a professor of psychiatry at the Karolinsksa Institutet in Stockholm, Sweden, and lead author of the study, found links between homicides and the use of antidepressants in the U.S. and Finland. The research team analyzed data collected from a group of 960 individuals from Finland, ages 13 to 88, all of whom have been convicted of murder. To create a control group, the team matched each man and woman in the study with 10 other people who were on the same medication, within the same age bracket, and lived in the same area, but have never committed murder. Over a seven-year period, the study looked at those who have taken psychiatric drugs at some point in their lives. The drugs included medications that relieve pain, control various addictions, and manage the symptoms of epilepsy. Moreover, information from police reports was used to cross reference those that may have been either drunk or high while committing the crime. The findings revealed that painkillers increase the risk of committing murder by at least 45 percent, and the use of antidepressants increased the risk by 31 percent. Even though these types of medications pose more of a risk regarding the committing of serious crimes, other medications carry much more risk. The researchers found that anti-inflammatory pain relievers increased the chances of someone committing murder by almost 200 percent, while opioid pain relievers that control impulses in the brain and emotion increased risk by 92 percent. Even though a 200 percent increase seems terribly high, the possibility of someone committing a murder is very low, considering the homicide rate in both countries is low. Tiihonen beleives that antidepressants and painkillers undermine a person’s impulse control and their brain’s regulation of emotions. Unlike in the U.S., in Finland, a majority of homicides are impulse reactions, showing a possible link between the use of the medications and the elevated risk of killing someone or committing suicide. However, Tiihonen explains that the study did not find a concrete correlation between antidepressants and painkiller use and murders. Therefore, it does not prove that someone is more likely to commit murder if taking the psychotropic drugs. Tiihonen stated that people should be more worried about high-does prescriptions of benzodiazepines and opioid painkillers for people that either have a history or genetic predisposition to drug abuse. Tiihonen believes that medications given to those who suffer from mental illnesses can possibly alter the brain for the worse. Nonetheless, the study shows there is not a clear cut correlation between psychotropic drugs and murder, but there is a link. One Response to "Antidepressants and Painkillers May Cause Someone to Commit Murder"
Not correct. It is reverse, People who are more likely to commit crimes are more likely to take painkillers.